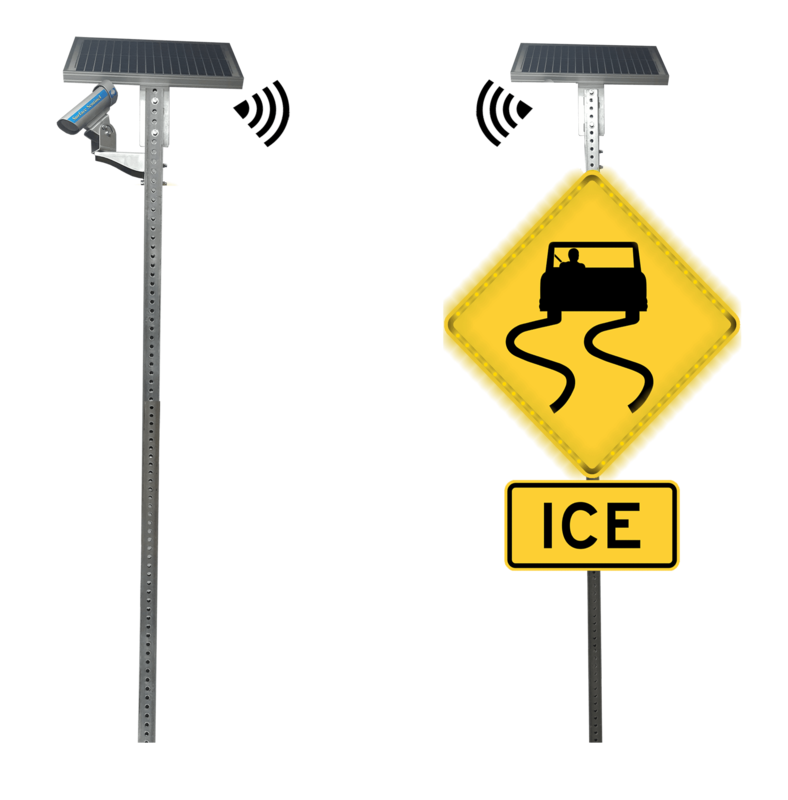 SignAlert™ Ice Detection is an Advanced Warning System utilizing Surface Temperature that is measured by an accurate, non-contact infrared temperature sensor. Air temperature and relative humidity are also measured achieving higher levels of detection accuracy and driver notification. The USDOT Federal Highway Administration data lists an average of 1,836 deaths, 136,309 injuries and 536,731 crashes per year due to snowy and icy roads. The figures below represent a 10 year average between 2005 and 2014. 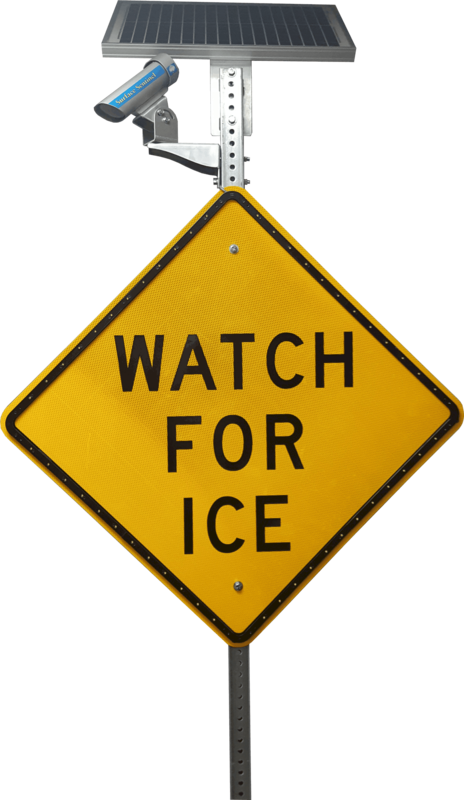 System alerts vehicle operators or pedestrians of hazardous icy road conditions by locally or remotely flashing SignAlert Warning Signs. Provides surface temperature, air temperature, relative humidity and dew point measurements that will collectively be used to maximize detection accuracy. 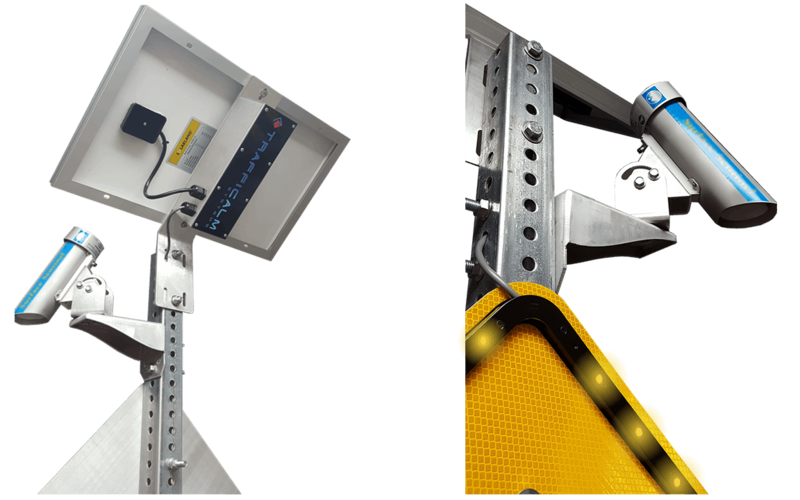 SignAlert Systems are triggered directly from a Non-Invasive Road Surface Condition Sensor. Can be used to trigger other signs within a configured network. A deployed Surface Temperature Sensor is placed at the ingress to a bridge deck or over pass, communicating road surface conditions to a network sign placed up to 1000 feet away. This notification triggers an LED Enhanced Advanced Warning Sign, advising drivers of icy road conditions ahead. A Single Sign and Surface Temperature Sensor is placed at the ingress to a bridge deck, over pass or any location where advance notification is required. 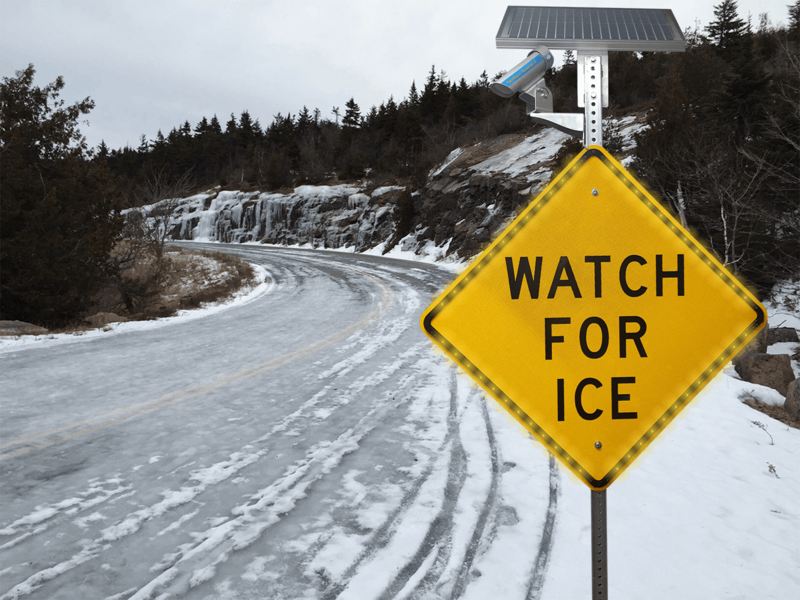 This notification triggers an LED Enhanced Advanced Warning Sign advising drivers of icy road conditions.